Irish start-up Parkpnp, which offers a mobile app that matches drivers with parking spaces, is currently advertising about 1,000 spaces in Dublin. CEO Garret Flower says he hopes to triple that number in the next six weeks. “We’re literally snowed under trying to keep up with the demand of the market,” he says. “As a new company, we are massively excited by the opportunity which exists to maximise the use of urban spaces to solve the parking problem,” says Flower. But some fear that the success of companies like Parkpnp in offering more, cheaper parking in Dublin will tempt more drivers to bring their cars into the city. 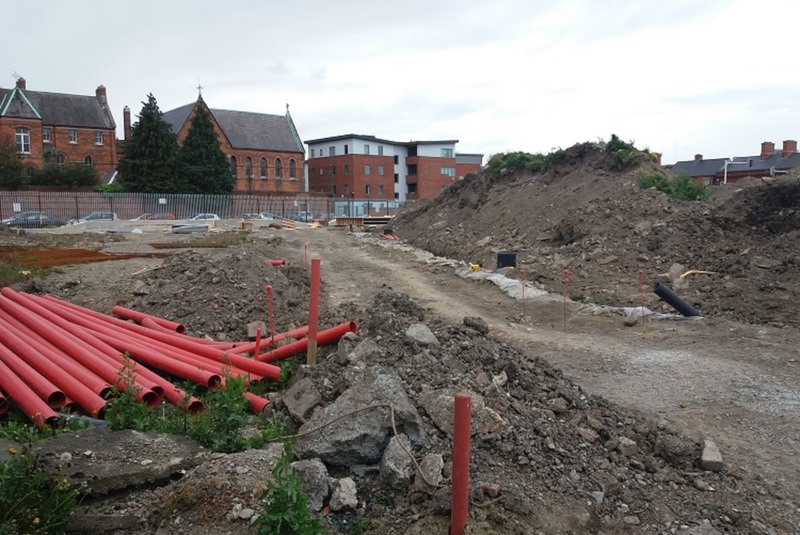 “We need to ensure that we don’t have an explosion of car parking spaces in the city,” said Green Party Councillor Ciarán Cuffe, who chairs Dublin City Council’s transport committee. “Ultimately cars are not the best users of road space, and if we increase the number of cars coming into the city it means there is less room for buses and trams,” he said. 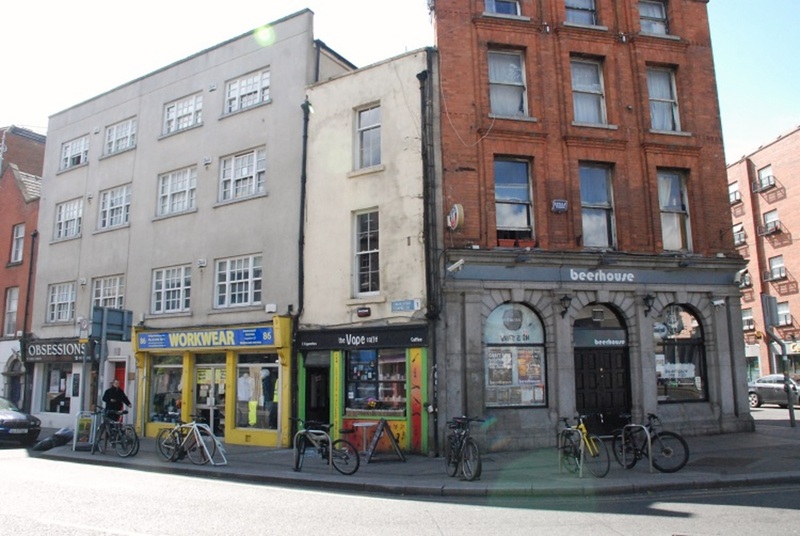 And there’s another issue: if people decide to rent out their parking spaces that’s a change from a residential to a commercial use, which requires planning permission, according to a Dublin City Council spokesperson. Have all the people renting spaces on Parkpnp got planning permission to do so? “Parkpnp work tirelessly to comply with all relevant legislation,” says Flower. However, independent Councillor Niall Ring says people renting out their drives isn’t the real issue. The best way to reduce traffic in the city centre would be to take away free parking from public servants, he says. Parkpnp are not the only tech players in the parking market. JustPark, which offers more than 20,000 parking spaces across the UK, have operated in Dublin since 2015, says Marketing and PR Manager Sam Mellor. They have more than 70 parking spaces available across the city here. 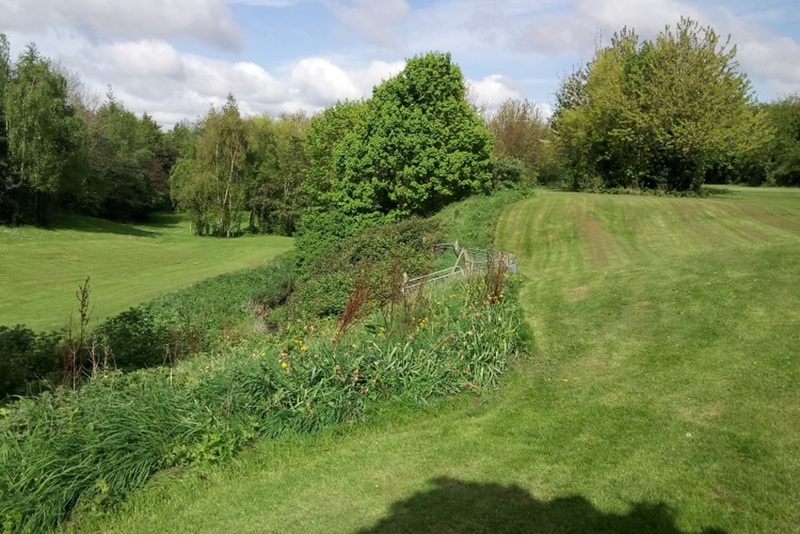 JustPark have already faced the issue of planning restrictions in the UK and have overcome that problem by getting central government on their side. “Communities Secretary Eric Pickles pledged support to these micro-entrepreneurs, and government guidance was drawn up that has enshrined the right of homeowners to rent out their driveways,” says Mellor. Another Irish company, Space Angels, provides both parking and storage, so if you have a garage that you don’t use, you can rent it out to someone else. It deals in long-term contracts, rather than hourly visits. Parking Space Locators has parking spaces in many well known multi-storey car parks in Dublin. It recruits owners and occupiers of apartments who have parking spaces, but don’t drive. It then rents these spaces to companies for their staff. Ring says Dubliners have been renting out their driveways for years. “A lot of people do that down in the East Wall. They let out their front gardens,” he says. These private companies have been gearing up to offer more parking in the city, while Dublin City Council has been offering less and less. The council has reduced the number of paid on-street parking spaces it offers by 17 percent over the past decade, from 35,000 in 2008 to 29,000 now, according to a spokesperson. “With revised traffic management plans and new cycle routes, further on-street cycle parking facilities and the expansion of Coca Cola Zero Dublin Bikes schemes, it is inevitable that further on street parking spaces will be lost,” he said. 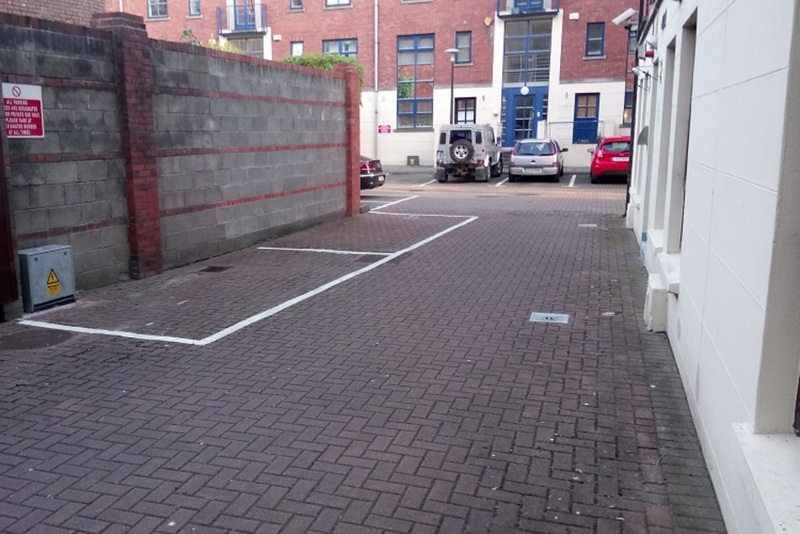 Getting rid of on-street parking spaces would be a good thing, according to DIT transport planning lecturer David O’Connor, who also writes a column for Dublin Inquirer. He’d like to see the council continue reducing the number of on-street parking spaces available, as private players like Parkpnp bring into commercial use more off-street spots. Still, overall, he thinks adding parking spaces into the so-called sharing economy would be a good thing for Dublin. “There are probably more pros than cons on this one,” says O’Connor. 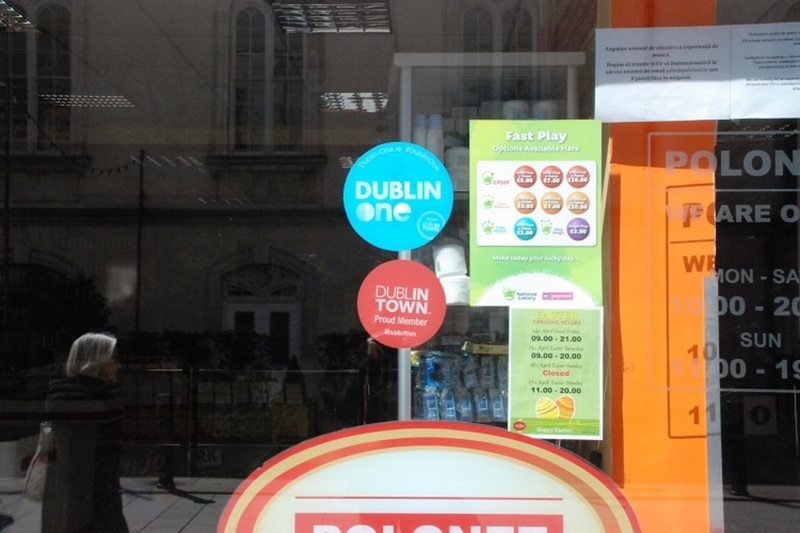 Like most cities, Dublin City Council requires every business and building to have a minimum amount of parking. Spaces are vacant about half the time, and could be shared, says O’Connor. “Anything that utilises space more efficiently is a good thing,” he says. More efficiently matching up drivers with parking spaces could also cut down on the amount of time drivers spend circling around, looking for a spot. That would cut down on fuel use, pollution, and traffic. Based on a study he conducted in the Westwood area of Los Angeles, Shoup found that drivers travelled an average of half a mile while looking for free parking, and that when this was added across all cruising drivers it amounted to 3,600 miles per day. Added up over a year, in just that one neighbourhood, the distance was the equivalent of two round trips to the moon, he calculated. Of course, making parking more plentiful and easier to find might well tempt more drivers to bring their cars into the city centre. The parking problem in the city isn’t individuals renting out their drives, says Councillor Niall Ring. It’s the amount of free parking available in Dublin to government employees. More than 67,000 people travelled into the city by car during peak times in 2016, according to Transport for Ireland. “At least 10 percent of those are just guys who drive in and park in the Custom House or Mount Street or other civil service car parks, for nothing,” Ring says. If the government stopped providing free parking to its employees, “it would have a huge impact on traffic”, says Ring, by making thousands of people less likely to drive into the city. Some 13,000 car parking spaces were provided to public servants free of charge in Dublin city centre, DublinTown’s Richard Guiney wrote in the Irish Times in 2015. We asked the OPW for an up-to-date figure, but they didn’t get back to us in time for publication. If each space was filled with a car bringing one person into the city, that would account for 19 percent of the 67,000 people coming into the city by private car during peak times. If each car carried two people, it’d be close to 39 percent.